Metal bonded diamond, alumnium backed to make the cups light weight and easier on the operator. 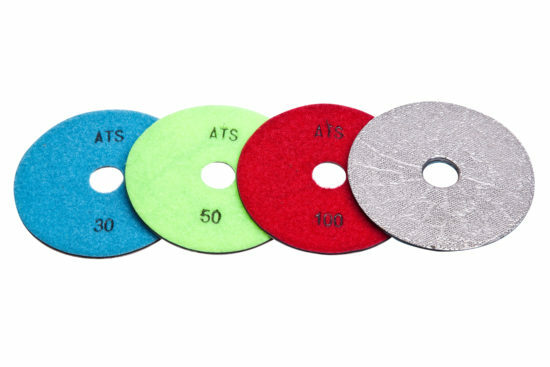 Ideal for rapid stock removal on all kinds of stone, natural and man made. Also useful for aggregate removal on the surface of concrete worktops. Available in three levels of grit all with an M14 thread. 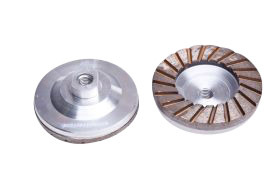 Sintered turbo cup diamond grinding wheel with an M14 thread. Perfect for rapid stock removal where a bit more control is required. Available in coarse #36, Medium #80 & Fine #150. 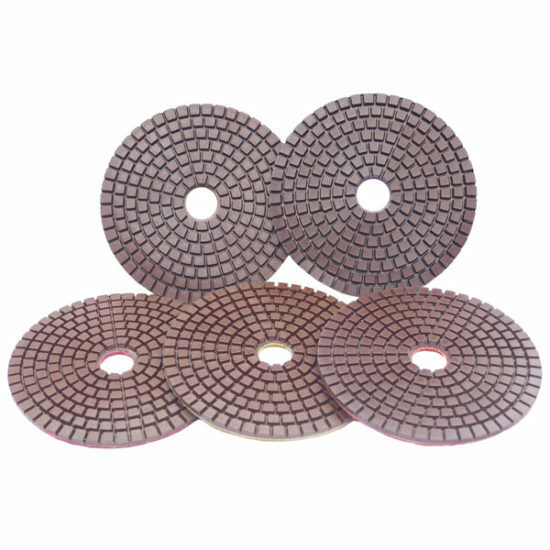 Vacuum Brazed Diamond Grinding discs ideal for surface removal of dense or abrasive products such as natural stone or concrete. Hook & loop backed. Available in 100mm (4") or 125mm (5").